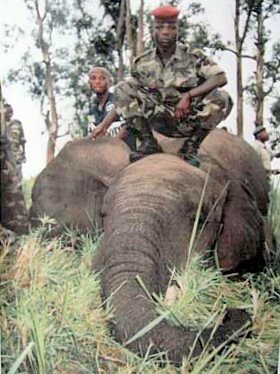 Four elephants of Virunga National Park were killed by soldiers of the 12th brigade of the Congolese Army near Rutshuru in 2005. D.R. Congo’s internal wars officially ended in 2005, but for Congo’s elephants war goes on. An international appetite has ivory prices soaring. Other appetites are whetted: National governments who want to sell legal ivory stocks, smugglers who want to move illegal ivory across borders, poachers who want to avoid risk, but still supply smugglers. For well-armed military, poaching risk is low. In Congo, battalions of military surround national parks, the last arenas of the war and the last remaining homes for Congo’s elephants. The military are the main poachers of Congolese elephants and the slaughter is keeping pace with the rising ivory price. At the CITES meetings this week in Dohar, Quatar, the international status of the elephant will be decided. Should Ivory trade be allowed? Is it the responsibility of countries like Zambia and Tanzania, who want to sell ivory stockpiles, that the last elephants of DR Congo are being poached from parks to masquerade as legally sold? These are not unprotected parks; they are just out-gunned parks. Later this month the widows of eight DR Congo park guards and wardens will receive awards in honor of their husbands who lost their lives over the past year defending parks. From three World Heritage Sites in DR Congo, 250 elephants are known killed in 2009 alone and >75% were killed by Congolese military. The rhythm of slaughter from the war years is being taken up again. 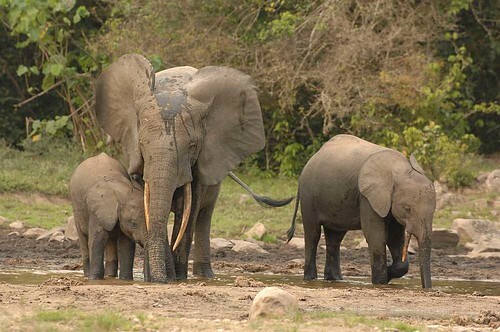 Read the press release from Congo to inform the Cites Conference of the plight of Congo’s elephants and all elephants in Central Africa. Read how the ivory debate is science versus politics. 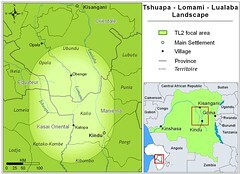 More posts about elephants in D.R.Congo: How does it happen on the ground?, who really is responsible? , how many elephants are left?, are Congolese elephants the same as the abundant South African elephant?, when did this killing start? This entry was written by Terese Hart, posted on 2010-03-13 at 8:15 pm, filed under Elephant. Bookmark the permalink. Follow any comments here with the RSS feed for this post. Post a comment or leave a trackback: Trackback URL. hope the best for the elephants and all the trees and other lifeforms that depend on them.